• It is used for glass automatic loading and unloading. 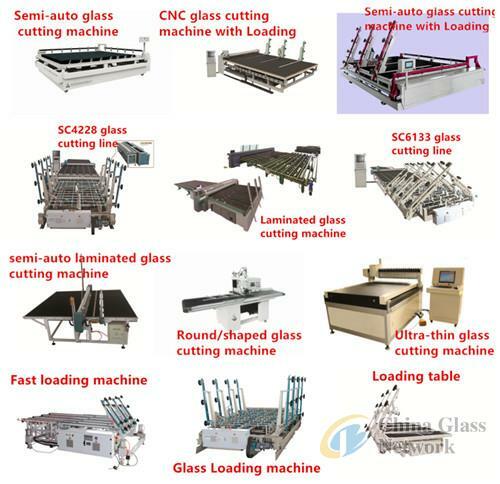 The system can pick the glass sheet from the glass in stock to the glass processing line as the client’s requirement, to automate the management. • It is made of transfer system, stacking racks, rack support base, glass positioning and secured units, railway guide system, etc. • The system is controlled by PLC. 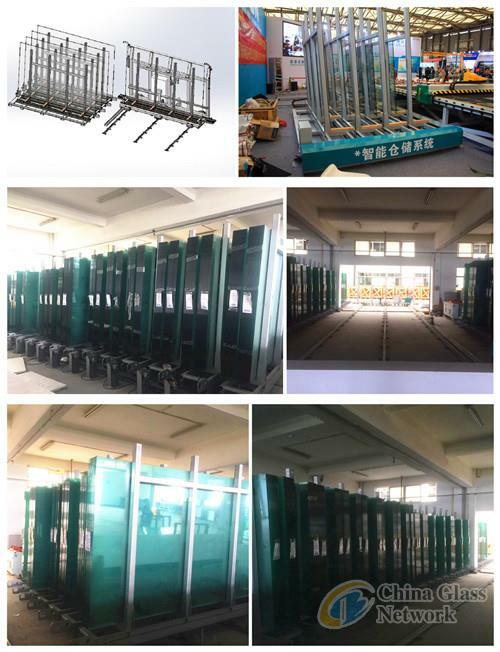 The stocking glass racks are used for unloading the sheet glass and making record information. When the system working, the operator input the sheet glass needed as the processing line requirement, the stocking system will move in X axis to the specified position, the transfer system go to pick the rack out of stock by the Y axis tong and position the rack, the secured units lock the glass, move the rack to the right positon ready for the loading system, the tong begin to work and move the rack to the loading system, then the loader can work to start the processing line. One glass stocking cycle finished. • All the stocking system is moved by servo motor, running in high accuracy. • The stocking rack’s quantity is depends on the customer requirement. • The distance detection sensor is with power memory function, to guarantee a quick restart work in safe condition.